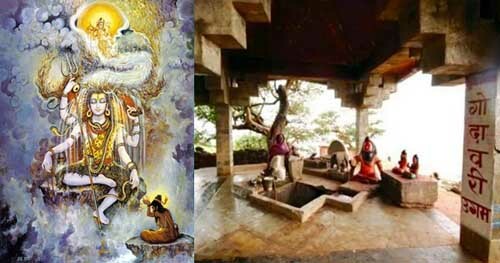 Simhastha is a very holy occasion in Hinduism. It occurs when Navagraha Guru or Brihaspati (planet Jupiter) enters Simha Rashi (zodiac sign Leo) in Hindu astrology. As Guru takes about twelve years to complete one full rotation around Surya (sun), it passes through all twelve rashis in twelve years. Its transit through Simha Rashi takes place periodically after every twelve years. Puranas state that when Brihaspati graham is in Simha Rashi, the holy gana is deemed to flow into Godavari River in a hidden form. When Simhastha takes place, it is presumed that all the gods and goddesses in Hindu pantheon take holy dip in the Godavari River. It is also believed that the holiness of all the sacred places and teerths in the world join in Godavari during the period. Therefore it is believed that taking a holy dip Godavari River during the period will help in achieving sin redemption, moksha and fulfillment of desires. An important mela is held during this period at Nashik in Maharashtra. Legend has it that Lord Shiva who was pleased with devotion of Gautama Rishi handed over a strand of his sacred hair to the Rishi. The sage installed the strand of hair on Brahmagiri mountain and Godavari River originated from that place. The incident occurred on Magh Shukla Paksha Dasami or the tenth day during the waxing phase of moon. On that day, the Brihaspati graham was in Simha Rashi, which is the Simhastha period. It is for this reason that Simhastha is also considered to be the birthday of Godavari River.